Wipro Placement Syllabus and Online Test Pattern 2019 – All the freshers candidates eagerly looking for dream job needs to know about placement syllabus and on campus/ off campus placement drive. First of all note download the selection process and exam pattern of the company, Whichever company you are aiming, after that head start your preparation. While preparing, keep visiting the job offering sites for regular information on on campus drive and off campus drive of various companies. In this article of Wipro Online Test Syllabus and Pattern for 2019, we are here to discuss the details of the paper and its details. Our team is available for 24 hours and is there to guide the deserving candidate so that they achieve their goal without any interruption. All the fresher candidates preparing for On campus and off campus placement drive need to look at the wipro syllabus in detail. Along with syllabus also check exam pattern. Wipro is a global IT service provider whose headquarters are in Bangalore, Karnataka. Its main function is of IT outsourcing and it also conducts placement tests to recruit Engineers. 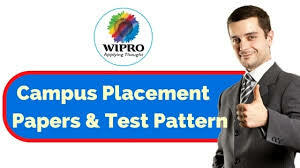 The positive point of Wipro Placement Paper is that it does not hold negative markings but the appearing students have to clear all the sectional cut-offs of the test. The candidate should score 50% or above in class 10th and 12th. The gap should be of less than 2 years in education. The candidate has to solve 16 questions of Quantitative Aptitude in 16 minutes. The candidate has to solve 14 questions of Reasoning in 14 minutes. The candidate has to solve 25 questions of Verbal Ability in 25 minutes. The candidate has to solve 12 questions of Technical knowledge in 15 minutes. The candidate has to solve 1 question of Essay Writing in 25 minutes. In total, the aspiring candidate has to solve 68 questions within the time duration of 95 minutes. 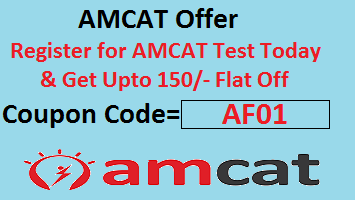 Apply for AMCAT and Get upto 150 rs. off using AF01 coupon code. This section includes the comprehension passages. This section also consists of basic grammar, fill in the blanks, antonyms and synonyms, sentence completion etc. This section consists of questions from algebra, time & work, time, speed & distance, arithmetic, percentage, profit & loss, geometry, etc. This section covers the questions of puzzles, blood relations, statements & arguments, coding decoding, data interpretation, data sufficiency, number series etc. This section involves the questions from C, C++, programming, JAVA. This section is quite difficult to solve. So, students should have the basic knowledge of this subject so that they can solve these questions. This section is based on any situation or scenario with the 200-400 word limit. the candidates who solve these questions easily will only qualify for the next round. Above we have discussed about Wipro Placement Syllabus and exam pattern for fresher batch. Our team and staff has really worked hard so as to make our students feel satisfied after reading through this article. The team of Wipro Campus Placement Papers and Test Patterns for 2019 is highly educated and well-trained. We are capable of clearing all the doubts and take care of each and every student. Click Here to download IT companies placement papers.